Concrete blocks were placed by unidentified persons on tracks on the both up and down routes near Kandari village in Karjan tehsil last evening, sub-inspector of Karjan police station, KM Rawal said. 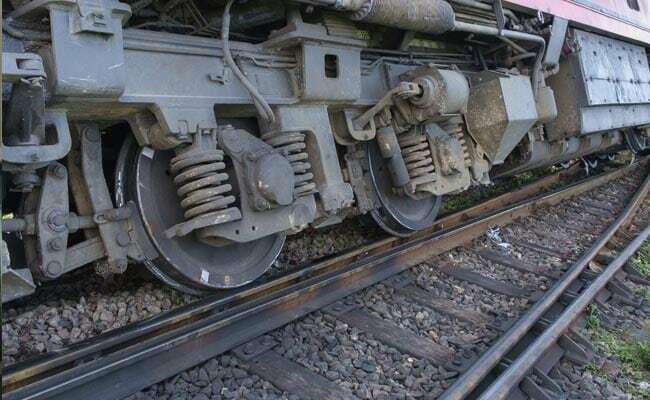 Vadodra: A possible rail accident was averted after the driver of a goods train alerted railway officials about concrete blocks being placed on the tracks near Kandari village in the district, police said today. At around 7:40 pm, the train hit some stones and the driver felt a strong jerk and the stones broke into pieces, said senior divisional security commissioner, Vadodara (Western Railway), Hemant Kumar. The driver then informed officials at the Kashipura railway station. It was later found that six hexagonal concrete blocks, three each on the two tracks, were placed by unidentified persons, which could have caused a major accident, Mr Kumar said. A case has been registered by the local police and it has launched a probe. The blocks were placed with a mala fide intention to cause an accident, Mr Kumar said, adding that the railway officials acted promptly and averted a possible mishap. He said the concrete blocks were carried to the tracks from a nearby railway gate, which was unmanned after 7 pm.